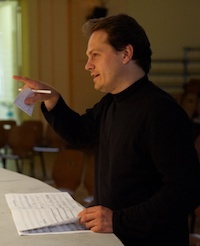 The concert, workshops, and meetings programs presented below offer not only to hear Kryštof Mařatka’s works, but also to start a dialogue with the composer in order to seize the universes which originate a musical writing. This approach of transmission, dear to the composer, thus opens the door to the creation’s backstage to everyone, child and adult. Bringing the audience and the performers closer to the creator helps to better understand the quest for “the art of sound” and to appreciate even more the innumerable charms of new music in varied contexts. The programs offered by Kryštof Mařatka draw on themes dear to him: the relationship between traditional music and art music, music and Prehistory, Czech folk musical instruments, the art of transcription, the melodrama, the question of authenticity and improvisation, the work of Leoš Janáček and much more! 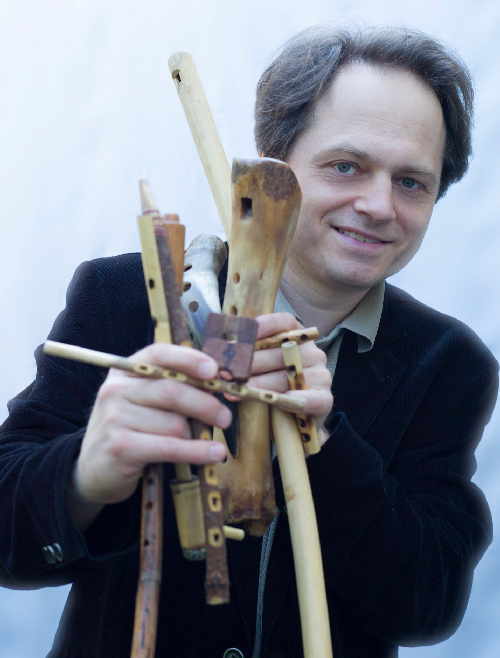 Flute made out of a bone, nose flute, reed whistle, natural flute koncovka... Kryštof Mařatka presents and plays many Czech folk musical instruments and introduces his compositional approach in addressing the specificities of these instruments compared to those of the symphony orchestra. Aimed at pianists, musicians - young and old alike - as well as a public curious to discover the fascinating palette of the often hidden piano sound spectrum, in this workshop-concert, Kryštof Mařatka presents surprising techniques of piano playing creating a set of unusual sounds and atmospheres. 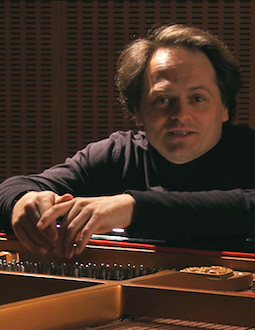 The composer completes the program by interpreting his work Onyrik, future and exotic tales for finely de-tempered piano (2013). Kryštof Mařatka presents and screens his film From your life (74 min, in Czech with French or English subtitles). The Mařatkas are an illustrious family in Bohemia: from Josef Mařatka, great sculptor, pupil of Rodin, to Kryštof Mařatka, contemporary composer. Between the two, a fascinating character, son of the first, father of the second: Zdeněk Mařatka. An eminent physician born in 1914, this man has known eight different political regimes: the Austro-Hungarian Empire, the First Czechoslovak Republic, Czechoslovakia amputated of the Sudeten regions, the Nazi Protectorate of Bohemia-Moravia, and the Third Republic of 1945-1948, the different periods of the communist regime, the post-Velvet Revolution Czechoslovakia and finally the Czech Republic of today. He was awarded the 1997 Vision Award and the 2009 Dagmar and Václav Havel Foundation Award. For his 95th birthday, his son decided to shoot a film that would be dedicated to him. Touching, funny, melancholy... Against the background of philosophical reflection and discussions between several generations of a family, it is the whole of the 20th century that we see emerge here. 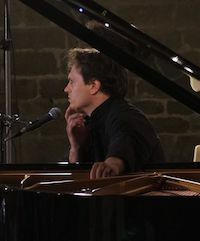 Concert given by Kryštof Mařatka at the piano with works of composers mentioned in the film as well as his own music. Duration: 1st part 80 min, 2nd part: 50 min. Kryštof Mařatka recounts his work on one of the key work of his catalogue: Luminarium - Mosaic of Twenty-Seven Fragments of World Music - concerto for clarinet and orchestra (2002). This piece is partially composed of transcriptions of traditional music of twenty-seven countries as recorded by ethnomusicologists around the globe. Every fragment of music of each country has its own history and its own language. The composer presents and plays their original recordings, he then plays the same passages in a recording of Luminarium to illustrate their transformation in the service of musical form and the genre of the concerto for clarinet and orchestra. On texts by Franz Kafka, Karel Čapek, Daniil Kharms, Claude Arrighi... How does one tell stories while accompanying oneself on the piano? Kryštof Mařatka performs his own melodramas playing simultaneously both roles: those of actor and of pianist. As composer, he Examines the balance between a declaimed text and a background sound in the context of a “performance” rooted in musical theatre. He interprets his melodramas in French, Czech, English and German. By projecting photographs of prehistoric rock art and presenting excerpts of recordings and films, Kryštof Mařatka traces the origins of his musical triptych, which spreads over an eight-year period. This large-scale work inspired by Palaeolithic art, by remains of musical instruments and by research on Man’s language acquisition, is composed of Otisk (Imprint) - Palaeolithic Site of Pre-instrumental Music for symphonic orchestra (2004), Zvěrohra (Game of Beasts) - collection of anthropoid chants for soprano and orchestra (2008) and Vábení (Attraction) - Ritual of Prehistoric Fossils of Man for mixed choir and symphony orchestra (2011). Analogies, hypotheses and questions about the correspondences between modern and archaic artistic expressions. 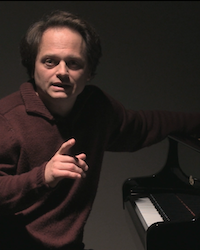 Between creation, imitation, transcription and improvisation, Kryštof Mařatka plays on the piano and introduces various aspects of the field of musical composition to the public. He invites audience members to suggest themes or evocative words to improvise on and raises awareness of the attractions of musical creation through the experience in real time of the birth of a work. He also tries to make the audience guess an original piece among different imitations, before presenting the art of musical transcription and finishing the program with some of his own works. 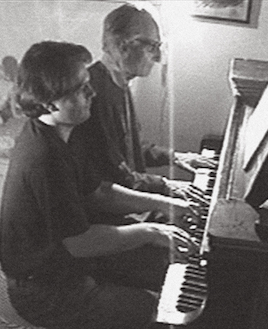 Playing on the piano and putting on excerpts of recordings of his own arrangements, Kryštof Mařatka examines the need for this specific musical practice, as experienced by virtually every composer: the transcription. 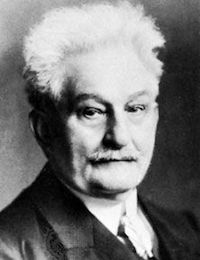 On the basis of various examples, he explains some transcription techniques and plays recordings of his own arrangements of repertoire pieces: Leoš Janáček’s Mládí arranged for string quartet, Antonín Dvořák’s Dumky Trio arranged for viola, clarinet and finishes the programme by playing his arrangement of Antonín Dvořák’s Symphony “From the New World” on the piano. These works are part of the fundamentals of piano literature of modern Czech music. Piano recital featuring a personal approach to classical, modern and contemporary Czech music. Leoš Janáček’s emblematic work The Diary of One Who Disappeared for tenor, viola, three female voices and piano is undoubtedly one of the most singular pieces in the catalogue of the Moravian composer. Halfway between a vocal cycle and a chamber opera, it concentrates all the peculiarities of the musical language of its author and seduces by its intimate, dramatic and deeply human aspect. A program composed of works for a rather rare formation in the Czech repertoire: viola, clarinet and piano. The proposed pieces are inspired by the world of traditional Czech music of the past but also by the universe of today’s popular instruments.